Did you ever wonder what 500 ounces of gold and silver looked like? On Saturday, July 21st a group of staff from the Allied Nevada corporate office in Reno took a field trip to the Hycroft mine. I've been to the mine many times but what I found really interesting was the refinery. 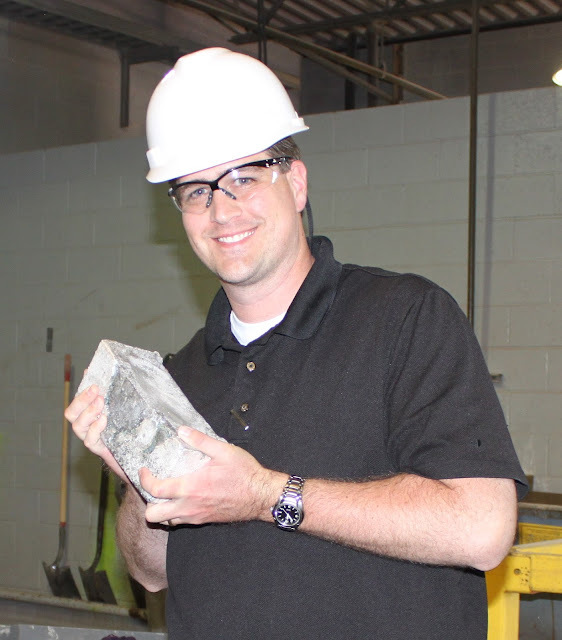 This picture shows me holding a doré (gold and silver) bar. The bar isn't very big but it does weigh 500 troy ounces, that's nearly 35 pounds. It's important to take the time to find out what the client's pain points really are before giving a final answer to their support question. 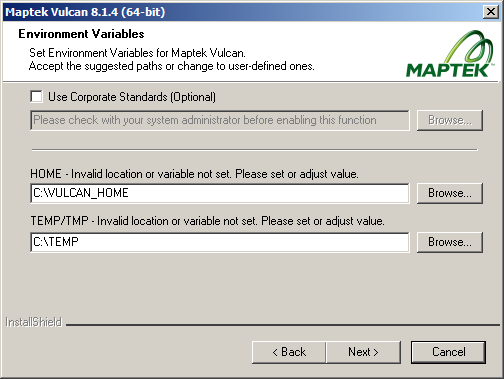 A co-worker recently had Maptek tell him 'No' in answer to his question about creating cross sections in Vulcan. The original question was "Can Vulcan set different section widths for different objects." Based on just this statement, Maptek support gave the same stock answer that I would have given. They told him "No." The 'Create Section View' tool in Vulcan works by displaying a 3 dimensional plane along with a certain width to either side of this plane. All CAD data displays this same way. Triangulations, points, lines, drillholes and composites are all cut to the same front and back distances. I can totally understand why support responded negatively to the inquiry, but there is more that could have been done. A simple, follow up question allowed me to give a much more satisfactory answer. "What do you want to display differently?" I asked. 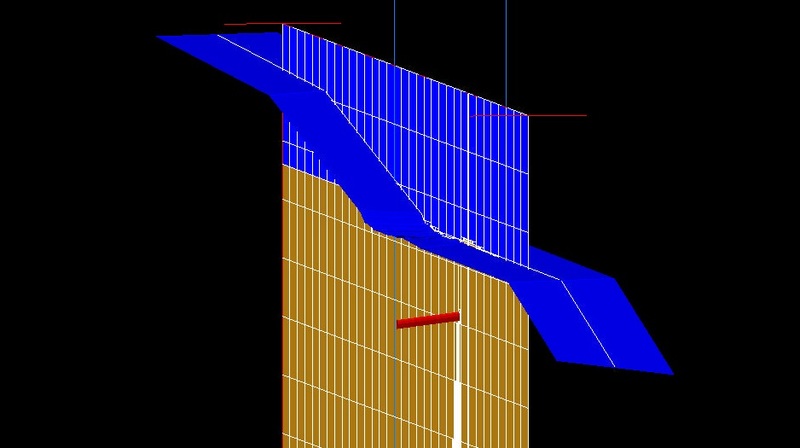 It turns out that he wanted to display drillholes and triangulations on a wide section but display the block model only on the actual section plane specified by the 'Create Section View' tool. 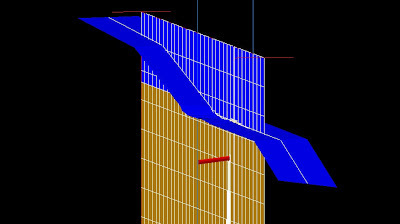 The one exception to the Section View rule is the Block > Load Dynamic Model option. When using the 'Display Slices' checkbox in the Block > Load Dynamic Model option the only thing that gets displayed is the actual block model plane in section view (nothing to either side of the plane). Be sure not to check the 'Display Individual Blocks' checkbox and remember that nothing will be displayed unless you are in section view. 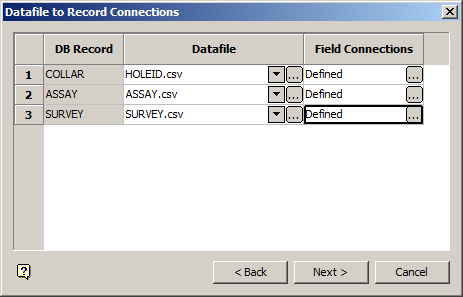 By asking the right questions a Maptek Vulcan user was able to use the software exactly as he had intended. Hopefully this post can find other people who want to display a block model section along with a wider section of triangulations and CAD data even if they can't find someone to ask the right follow up question. I was recently assigned a new computer at work. It’s a nice machine but I’m frustrated about moving all my settings and programs from the old computer to the new one. I will, inevitably, forget something important and be upset that I did not notice the omission until after the old machine has been reformatted. 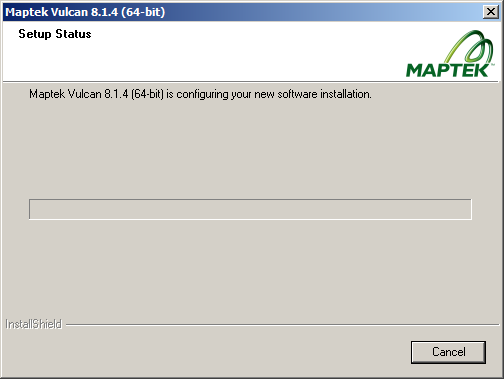 As I was installing programs on the new machine, I realized that I haven’t posted anything about the installation procedures for Vulcan. This was on my original list of important posts. I don’t know how it has gone overlooked for so long. 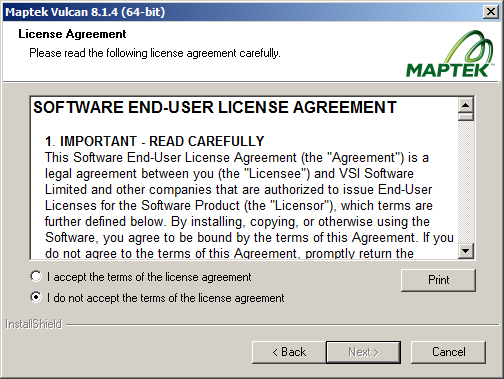 There are installation instructions included with the Vulcan CD but if you can interpret those instructions you probably didn’t need them in the first place. For the rest of the Vulcan users please find this list of installation steps, complete with screen shots to help you along the way. 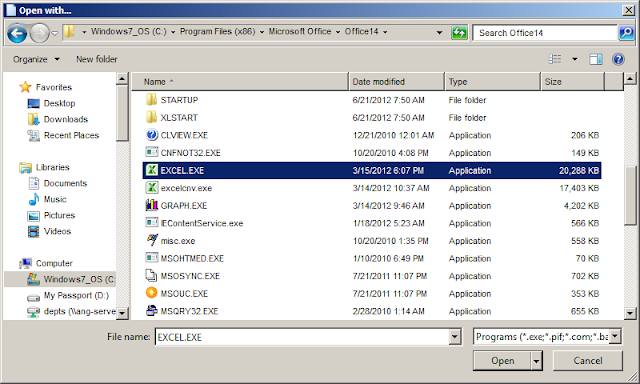 Open the disc drive and double click ‘autorun.exe.’ There is a file that is supposed to automatically start the installation process, but most corporate networks have enough security measures in place that this doesn’t usually work. 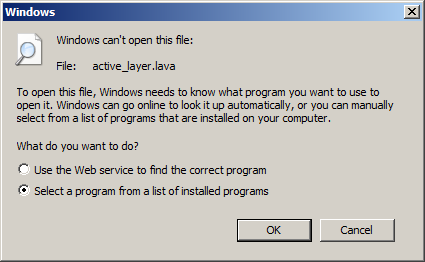 If you get the ‘Open File – Security Warning’ panel to pop up just select ‘Run.’ This is a Windows panel, warning you about the dangers of installing software of unknown origin. 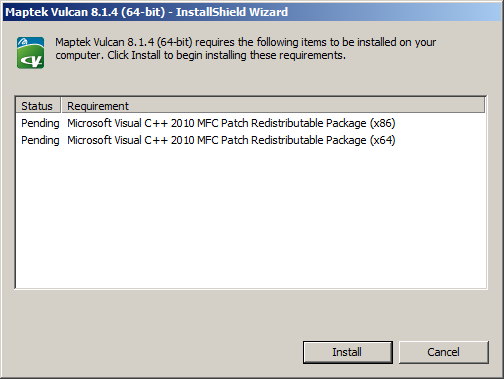 Install Vulcan 64-bit: this version will give you access to more than 4 GB of RAM and represents the cutting edge of Vulcan development. I use this version because it allows me to load large triangulations and block model data at the same time. 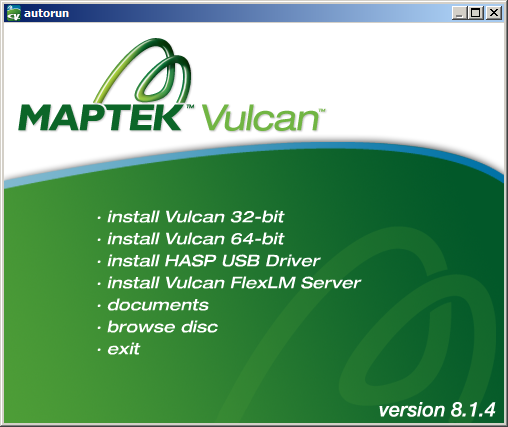 Install Vulcan FlexLM Server: this is for installing a server license for Vulcan. Unless you are the IT guy you don’t want to do this (or be responsible for it). 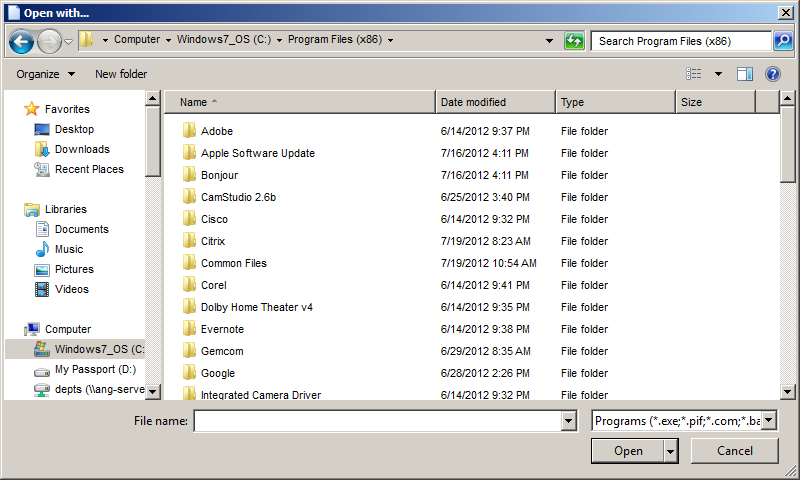 Documents: includes release notes and installation documents. If you don’t like my notes on installation, try reading the ones included here, they’re only 28 pages long. 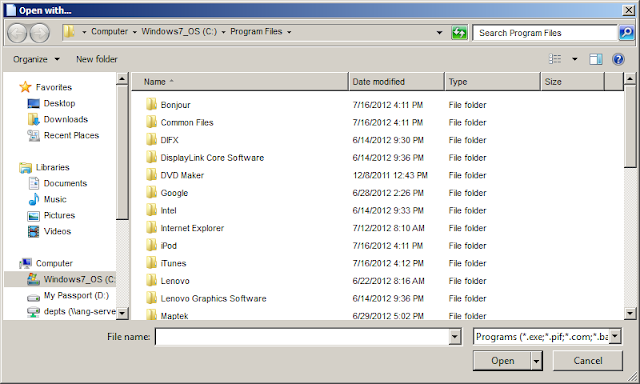 Browse disc: opens Windows explorer so you can browse the files included in the installation CD, something you could have done without this button. 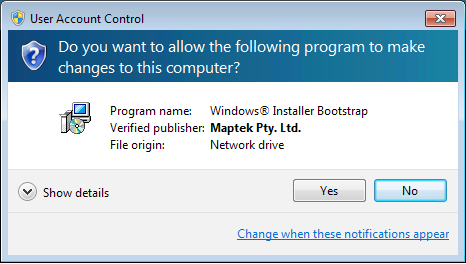 Exit: cancels the installation process. 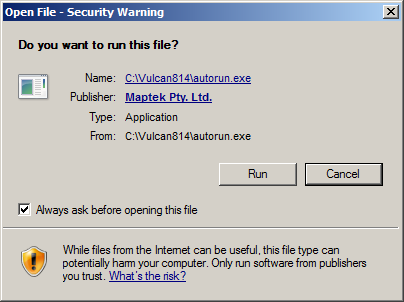 To continue installation, click on ‘install Vulcan 64-bit’ (if you don’t have a 64-bit operating system, remind your IT guy that it is the 21st century and you need a better operating system if he wants to keep his job in technology). 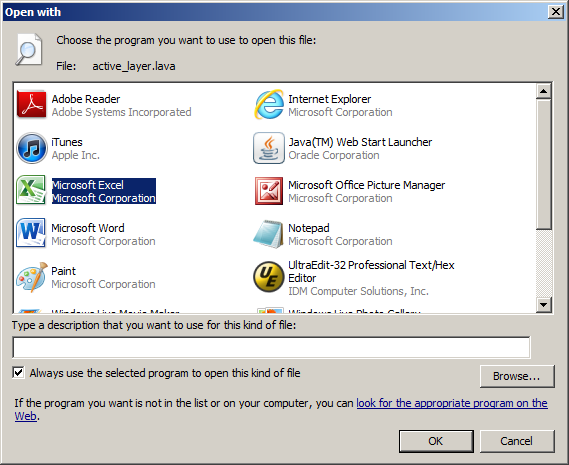 Now, you will get another popup from Microsoft. 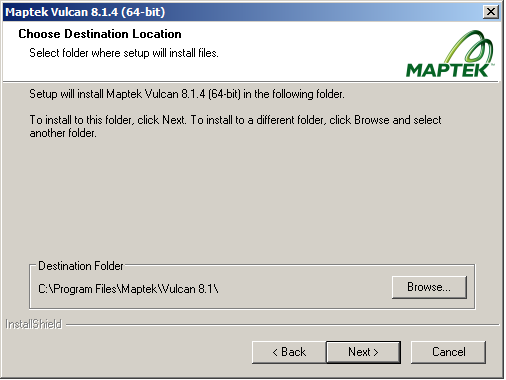 Click ‘Yes’ to continue installation of Maptek Vulcan mine modeling software. 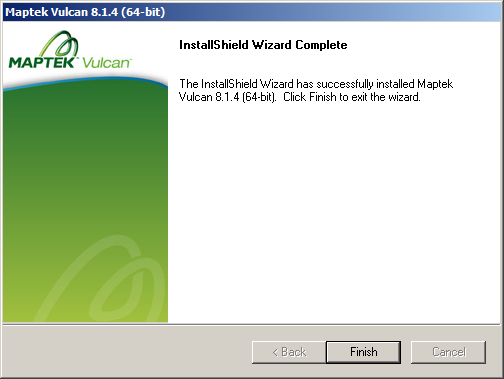 A 'Preparing to Install...' panel pops up for a few seconds so you won’t think that Vulcan has forgotten about the installation process. 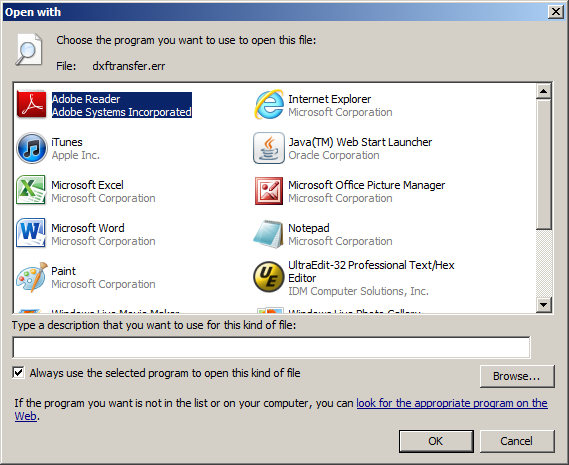 Be patient and DO NOT click the ‘Cancel’ button. 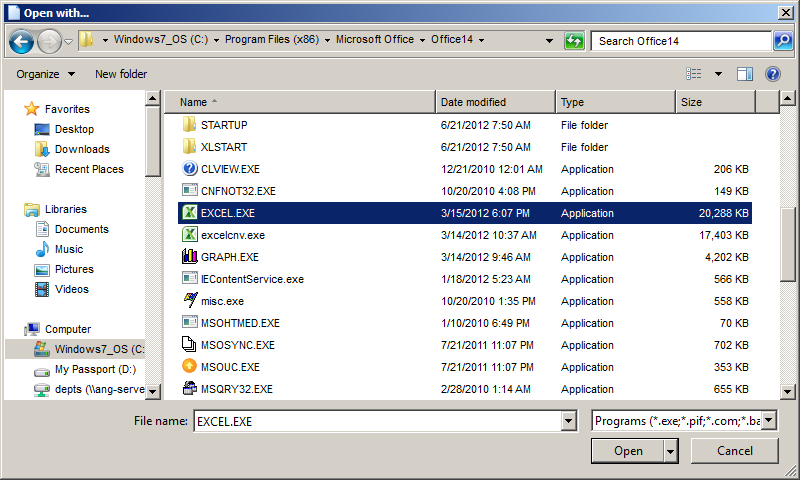 In the 'Environment Variables' panel you are asked to set certain Environment Variables. Your computer uses Environment Variables (not EnvironMENTAL Variables) to tell it where to look for certain files. 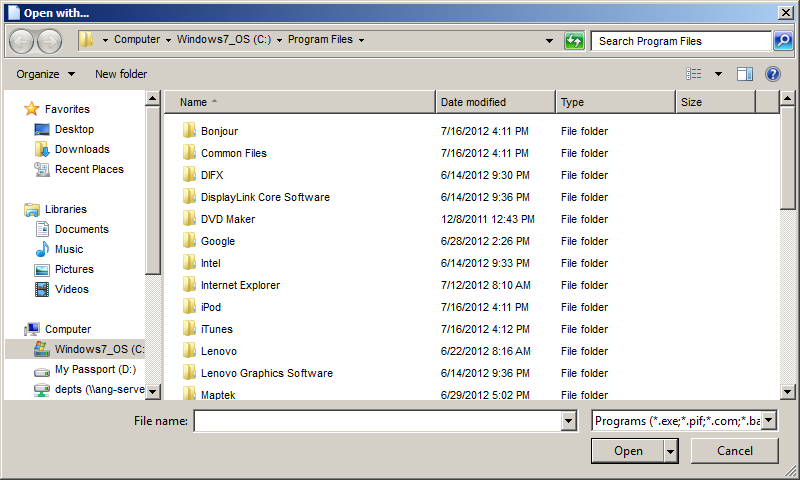 Temporary directories are often declared as Environment Variables. One of these variables is the Corporate Standards. This setting will allow you to use the same color schemes as everyone else in your company. It is a small increase in corporate consistency that comes at huge personal sacrifice. Do NOT use corporate standards unless there is actually someone holding a gun to your head. 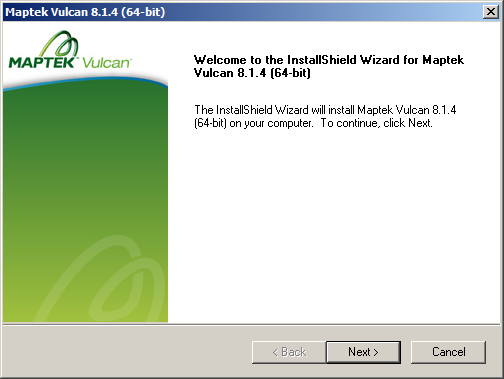 A 'Setup Status' panel will pop up while Vulcan is installing. This process may take a few minutes. Now that Vulcan is successfully installed on your computer you may want look at these posts about getting started becoming familiar with the Vulcan layout and begin digitizing.